There are few desserts I get overly excited about. I’m more of a meat and potatoes girl vs desserts. The one exception to this rule is cheesecake. Who doesn’t love cheesecake? It’s creamy, velvety and hits all the right spots. 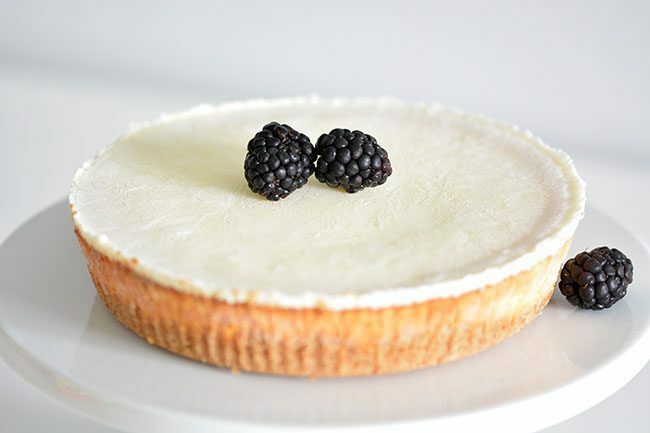 Thankfully Sara Lee Desserts satisfies my cheesecake cravings with their Original Cream Classic Cheesecake. The issue? 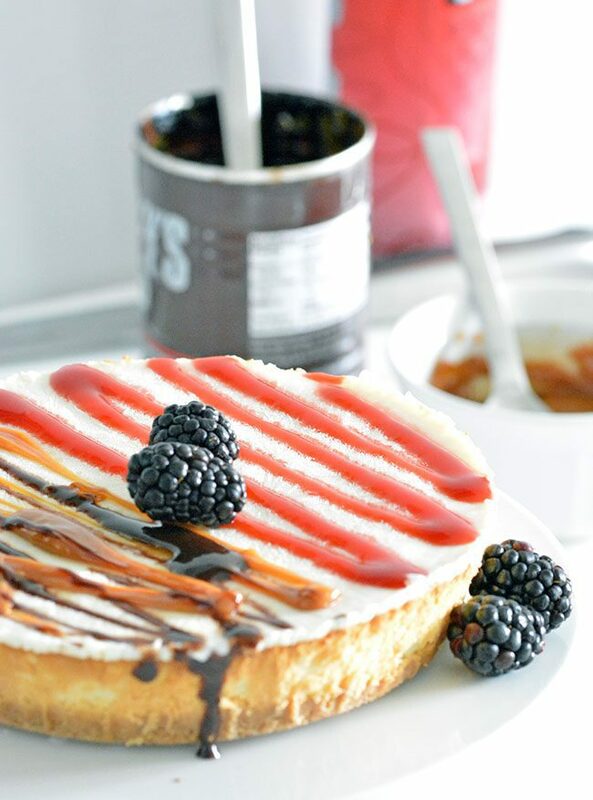 My better half prefers a plain berry topping while I like to go wild and mix it up. Sure I won’t say “no” to a delicious berry topping, but some days I’m in the mood for caramel and chocolate. Of course, being the awesome spouse that I am, guess who loses that debate 99% of the time. (Hint, not me).The other issue? I don’t have the time to make cheesecake from scratch. I’m too busy making this Prime Rib or Egg Drop Soup to share will y’all. I pick up the Sara Lee Cheesecake, at my local Food Lion, when I’m in the mood for some velvety goodness. This cheesecake is perfectly sized so I’m able to split it and top it how I wish. I’m not tied down to one topping like I am at a restaurant. My husband gets the classic strawberry drizzle and I get something awesome. Think Oreos, peanut butter, thin mints, oh my! 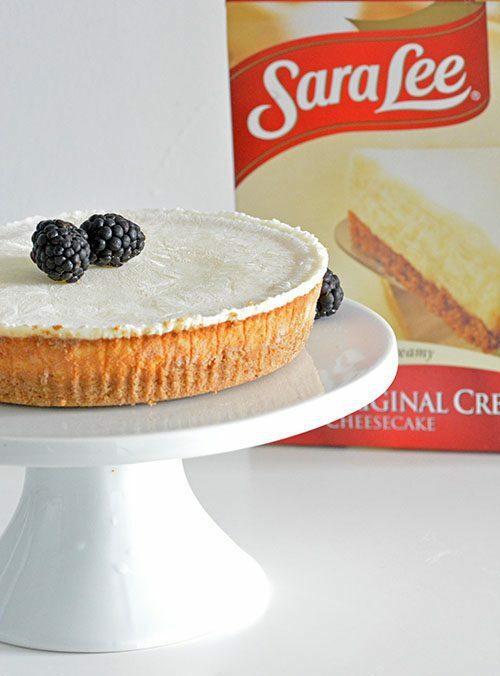 If you’ve been wanting to try a delicious Sara Lee Cheesecake, do so before March 31st since packages have a $1.50/1 Sara Lee Cheesecake coupon attached to the outside of the package (while supplies last). Win-win! I’m always looking for new ways to enjoy my cheesecake. What is your favorite way to eat your slice?? Leave a comment below and share with our readers!